Plumbers On Call are on hand to solve all your water and plumbing problems. We provide specialised and professional solutions, ensuring your home plumbing system is in good condition. 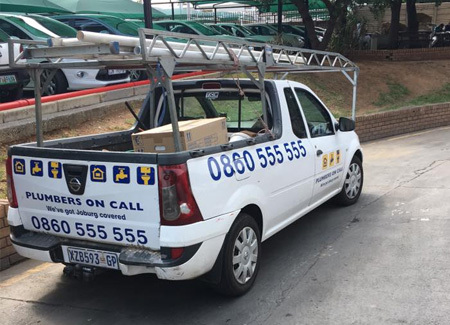 We operate our business on a no-nonsense policy, handling your queries quickly and efficiently, with our professional plumbers expertly fixing your plumbing problem, no matter the size. Plumbers On Call are committed to bringing you the highest quality plumbing services, which is why we ensure all our plumbers receive additional training on the latest plumbing techniques and technology. At Plumbers On Call, all our professional plumbers have received their qualifications through the Plumbing Certification Board and receive refresher courses every month to ensure they can successfully carry out our wide range of plumbing services to the highest standards. Your complete satisfaction is our most important consideration when carrying out plumbing work at your home or workplace, which is why we ensure that we can fix your plumbing problem quickly and efficiently, no matter the size. Thanks a lot for the great service. Your guys arrived on time and quickly got my water turned off. Then they found the leak under my path, fixed it and replaced the bricks perfectly. I would recommend you to anyone! We had a major problem with a burst geyser and floods everywhere. Petrus and Thomas replaced the geyser and even helped to mop up. The insurance company is happy with your invoice, so we are happy too.